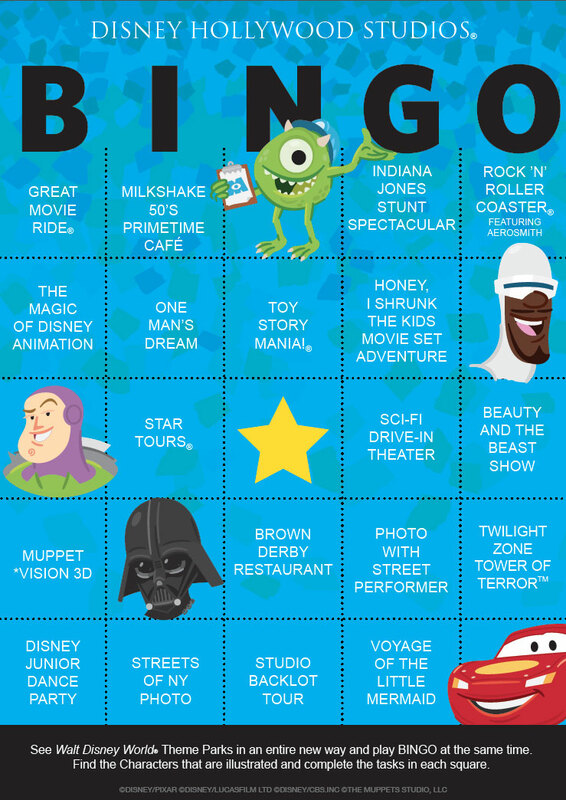 How does Disney plus the experience of working your way around the parks? 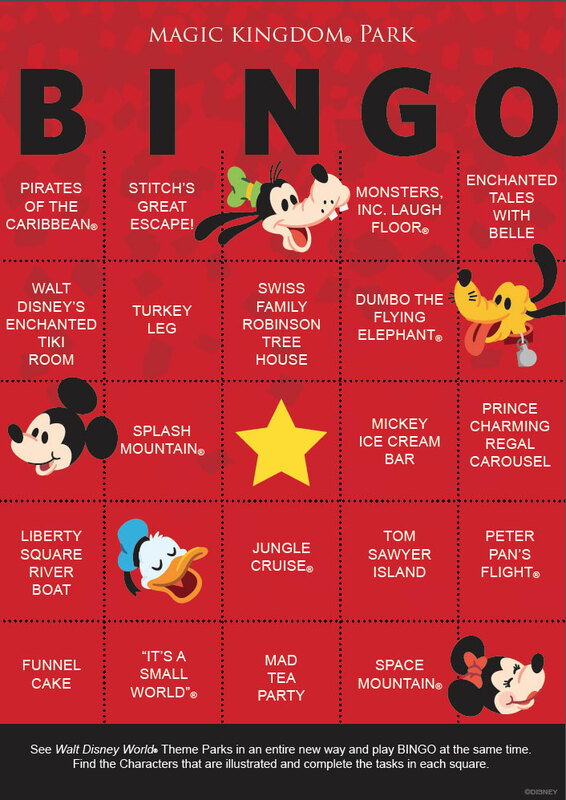 By debuting a fun new game to accompany your touring! 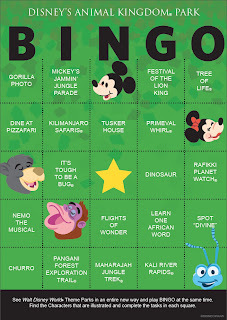 Released this week, BINGO cards feature characters, attractions, and dining experiences to find throughout each park. One of the things I like best about these cards is they let you interpret and adapt the game however works best for you. 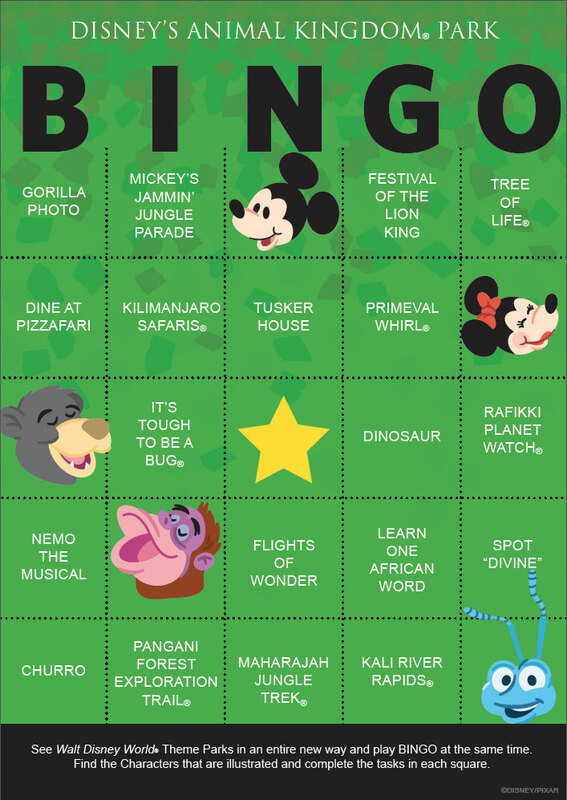 For younger children, perhaps just seeing the features listed is enough to mark them off; for the older set, maybe each attraction has to be completed before earning a mark. It can be approached as a group effort, or as a bit of friendly competition. How about turning it into a photo challenge? 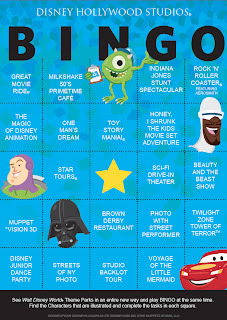 Or perhaps you ask a Cast Member to initial your squares before they count. Maybe you find representation of each feature in a gift shop! The possibilities are endless. The rules are up to you! I love games, and I love a little friendly competition- so I can't wait to try this during my next visit! 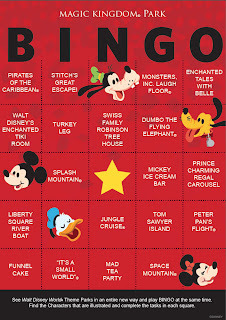 is there one for Disneyland and California Adventure!? These look awesome! I think that would be fun, especially for guests who visit the parks often! 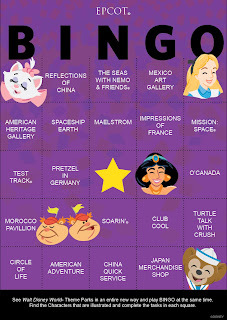 I hope it comes to Disneyland & California Adventure! I agree! Can't wait to try them out.